Cut costs on the latest cutting-edge technology with up to 50% off! ACtivate Day 1 is for business leaders and decision makers of companies who are driven to shape their future success through digital transformation. ACtivate Day 2 will provide product and solution training, readiness, and management for IT professionals, developers and tech enthusiasts. Leon Chen is the Country Manager of Indonesia to lead the local team to build the region business. With 17 years of experience in the Information and Communication Technology, Leon enjoyed spending most of his time working with clients and partners. Leon holds an MS in Computer Science from New York University and an undergraduate degree from Tunghai University. Derek Wang is the Country Manager of Singapore and chief cloud architect of Alibaba Cloud International, a role where he oversees the development of enterprise solutions that cater to each customer's needs. Before joining Alibaba Cloud, Derek worked at Oracle as the enterprise architect of cloud computing and big data solution. Derek holds his Ph.D. in computer science. Marc is a full stack engineer from France. He is passionate about software and electronics and has close to ten years of experience in Java back-end and web front-end development. Lately, Marc focusses on DevOps and cloud technologies. In his free time, he enjoys learning about the Chinese culture and hiking the mountains surrounding Hangzhou. Pradeep is a seasoned Big Data and AI professional. He has more than 15 years of experience in this domain and has a proven track record of helping organizations to transform. Jeremy is a passionate technologist who is excited about the opportunities created when small and medium-size businesses embrace the cloud. He has over ten-years of experience in the IT sector and holds a Masters in Computer Vision. He works in Hangzhou China at Alibaba Cloud headquarters, where he is part of a team dedicated to helping customers outside China understand and make use of Alibaba Cloud’s platform. Vladimir is an Alibaba Cloud Solutions Architect focusing on developing Big Data and Artificial Intelligence Solutions. In this role, he practices the state-of-the-art data intelligence technologies in order to help customers seamlessly transform their operations leveraging a more data-driven approach. Charles Tse advises on digital transformation and industry solutions in the APAC and Middle East regions. With over 23 years of industry experience working as data analyst, technical lead, PMO manager, Principal Consultant, head of IT, business director, and COO, he has a holistic view on how digital transformation and strategies can help the different roles and business functions of a company. Bachelor of Science from Fudan University (Shanghai, China) major in mathmatics Over 10 years work experience in a variety of IT fields such as Application Delivery, Disaster Recovery Data Center design, Cloud Computing, Networking, Storage, Security, etc. Obtained all the ACP (Alibaba Cloud Professional) Certifications (Computing, Security and Big Data). Zhiyuan joined Alibaba Cloud in July 2018. He works with Singapore companies to scale their businesses by tapping on Alibaba Cloud, and the broader technological platform in the Alibaba ecosystem. Before joining Alibaba Cloud, Zhiyuan held various roles in the key IT companies in Singapore, with his most recent role as the Sales Director at S&I Systems (a subsidiary of Telechoice Group), where he led a team to work with major clients on their IT solutions. 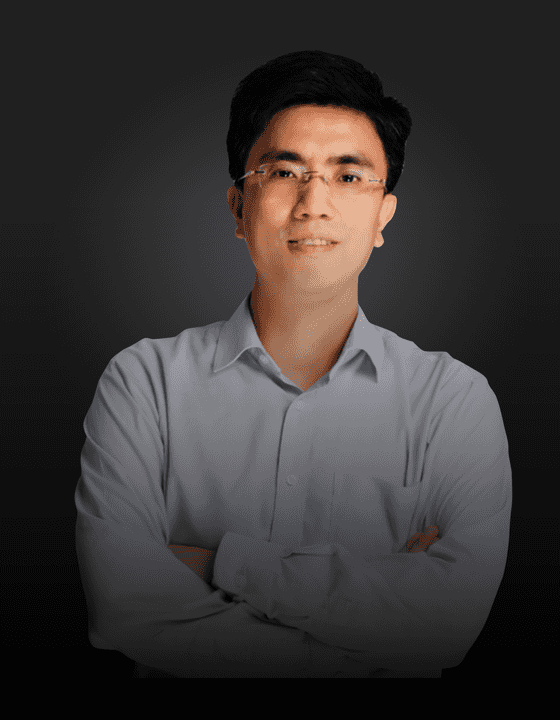 Yang Liu is head of security compliance and privacy of Alibaba Cloud. He was with Apple, Nokia and GE as Information Security Manager before joined Alibaba. Yang has more than 20 years of experience in information security, risk management, business continuity management, supply chain security and so on. Between 2003 and 2006, He was with Chinese national computer emergency response team (CNCERT/CC), as incident response team lead and liaison officer. He was also an active member of FIRST, APCERT, Anti-Phishing WG, and other information security related community. Yao Yang is the Co-Founder and Chief Technology Officer at Revenue Monster Sdn Bhd, a non-bank licensed merchant acquirer for WeChat Pay, Touch n Go, Boost and other E-wallets in Malaysia. Graduated from Ball State University with a Masters in Information and Communication Sciences. Yang comes from a background in software engineering, consulting, and management. Alibaba Cloud security solutions include Anti-DDoS, Web Application Firewall, mobile security, and access management and help organizations safeguard their data and overcome all types of security threats. Alibaba knows e-commerce! Now you can leverage the same solutions used by e-commerce platforms such as Taobao, Lazada, and Tmall. As a leading cloud provider in China, Alibaba Cloud knows what it takes to be successful in the market. China Gateway is one of Alibaba Cloud’s flagship solutions that helps customers in all sectors tap into and scale up in China.